Designed to the highest standard with the welfare of our guests in mind, our cat chalets are a luxurious place for felines to stay. 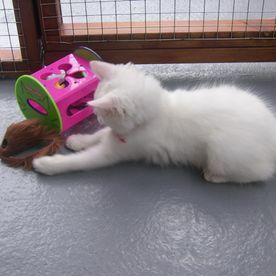 At Little Glen Cattery, in Leicester, Leicestershire, we offer spacious, comfortable, and warm cat accommodation that is accredited by the Feline Advisory Bureau. 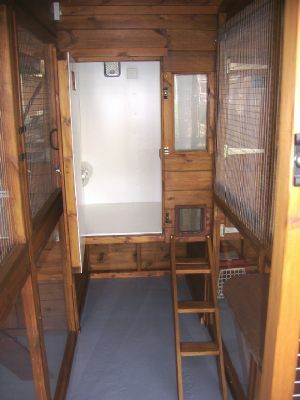 At our cattery, there is a mixture of both full-height and penthouse (half-height) chalets. 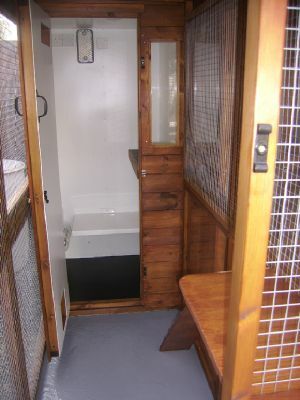 The full-height chalets are particularly suitable to the older or disabled cat. We run six single chalets measuring 3ft x 3ft, with 6ft x 3ft covered runs in the full-height accommodation and 9ft runs in the penthouse chalets. 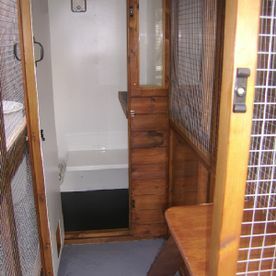 Additionally, we have two larger chalets that can cater for either two or three cats. They measure 6ft x 3ft and have 6ft x 6ft runs. All of these measurements are compliant with the Feline Advisory Bureau standards now known as the ICC. Double and family pens are also available should our clients require them, but please note that only cats from the same household are allowed to share a pen. Each chalet has thermostatically controlled, covered heaters, which can be set up to 26 degrees, together with a bulkhead light and electricity points. 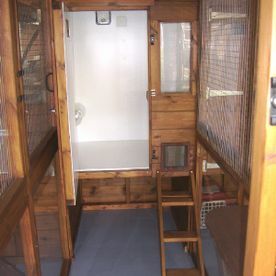 Full bedding is provided, although you can bring your own if you prefer, while scratching posts, litter, food, and viewing shelves also come as standard. Heated beds are available at the owner’s request at an additional charge of £1 per day per bed. All units are separated by full-height Perspex™ barriers to ensure that cats cannot come into contact with each other. 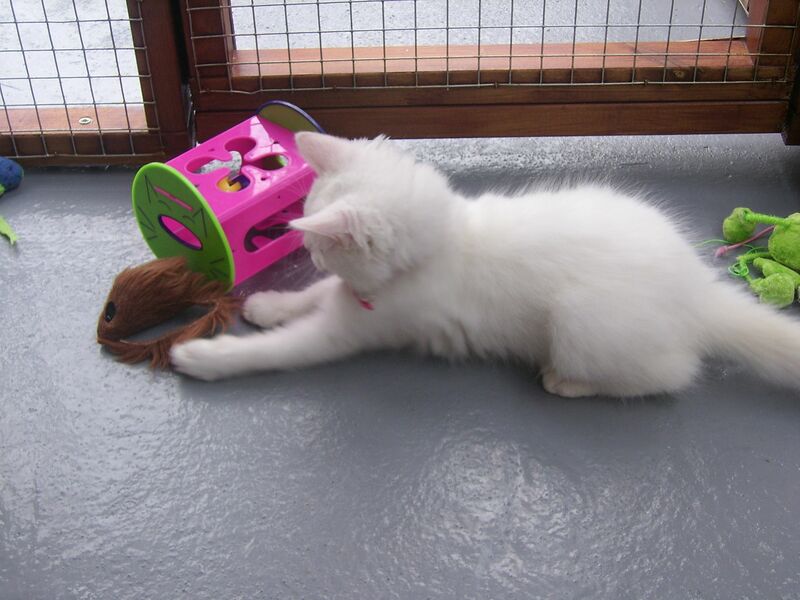 Alongside the accommodation at our cattery, we also offer a convenient pet sitting service for our clients. Whether you are at work or on holiday, one of our professional team will routinely visit your home or even stay there for the duration of your absence. Prior to your departure, we will visit your home to meet you and your cat and create a bespoke package that is tailored to your needs. Contact us now, in Leicester, Leicestershire, to receive more information about our cat chalets and accommodation.